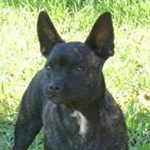 The French Bullhuahua is a hybrid dog crossed between the Chihuahua and the French Bulldog. The Chiweenie is a hybrid dog crossed between the Chihuahua and the Dachshund. The Chi-Chi is a hybrid dog crossed between the Chihuahua and the Chinese Crested. The Chigi is a hybrid dog crossed between the Chihuahua and the Corgi.